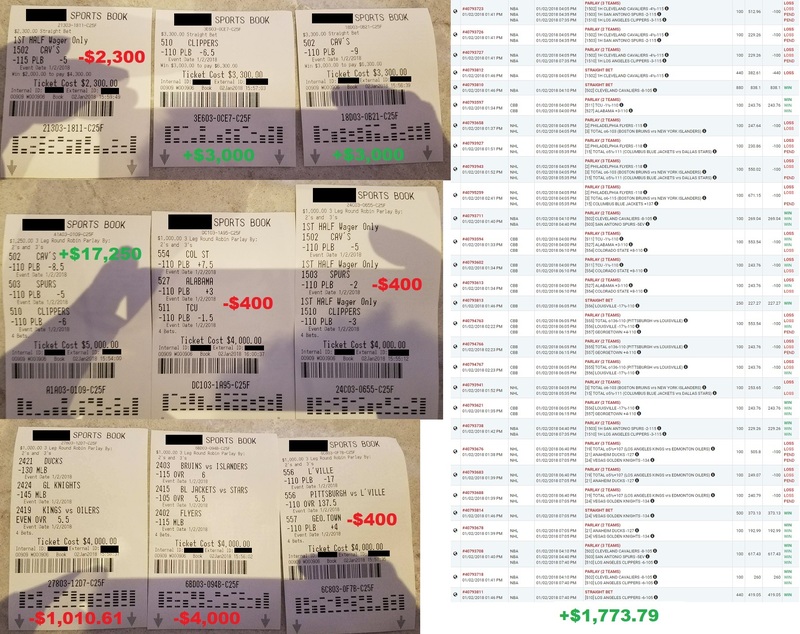 Here’s How I Won $60,000 in the Last 4 Days of Betting on Sports! As you’re probably aware, my historic winning run continues! Yesterday, I released to you my NBA Round Robin at maximum acceleration of 4 units per parlay on the Cavaliers/Spurs/Clippers. All 3 won easily for a profit of +55.2 units on just this Round Robin alone. And if you took the Cavaliers and Clippers as straight bets as well, then you’d have profited an even more handsome amount! Yesterday on Tuesday January 2nd, I wagered $38,810 and cashed out $55,323.18 for a net winning profit of +$16,513.18. 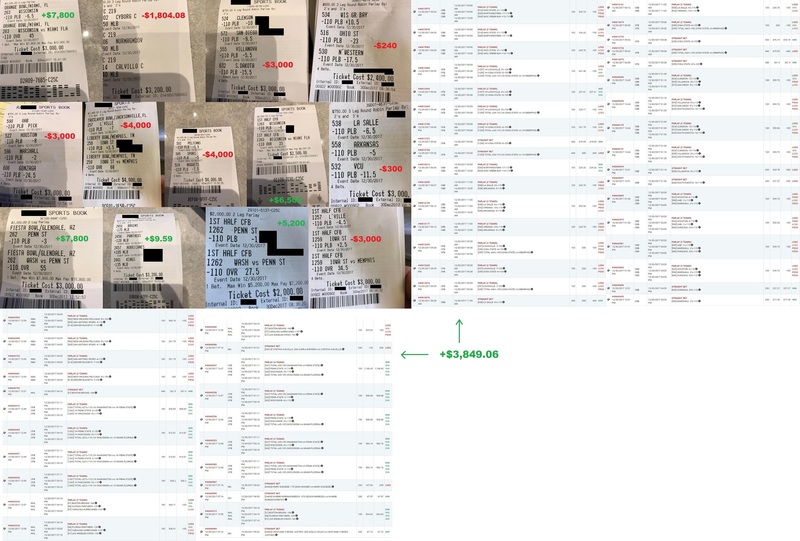 Overall: I wagered a total of $182,860 and cashed out $242,655.75 for a net profit of $59,795.75 in just last 4 days of betting on sports. How’s that for a return on your investment!? You’ve seen my stellar winning results for yourself. It’s indisputable: In the last 4 days I have put up nearly $200,000 of my own money at risk on my picks, and ended up walking away with $60,000 in profits. Know of any tout on the planet who’s willing to put hundreds of thousands of their own money where their mouth is like what I am willing to do for you? You can’t find them because touts rely on selling to you their picks as their main source of income. I made my millions from betting on my picks, not from selling them. To this day, I continue to bet hundreds of thousands of dollars every single week on my picks to show you that I have nothing but your absolute best interest at heart. Simply put: I stand to lose up to millions of dollars if I cannot help you win, too. I am willing to put my money where my mouth is because I know that I’m going to end up ahead. So far in 2018, I’m already up by more than $25,000, and more than $60,000 in the last 4 days. I can’t wait for you to see it for yourself with your own eyes how I can take this and run it up to millions. 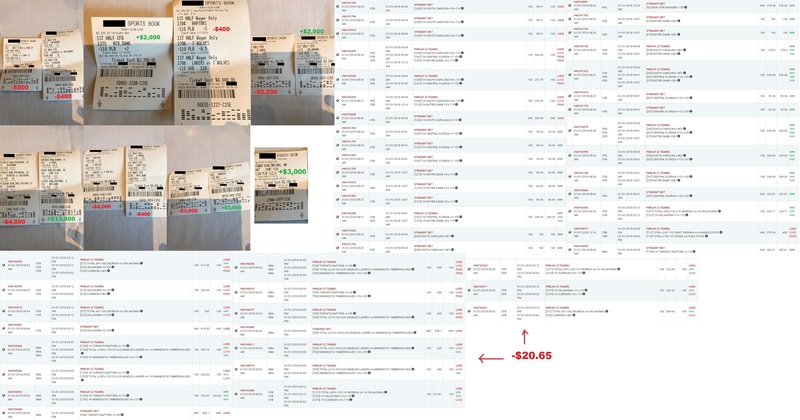 Below, you can see all of my betting tickets for today where I am betting a total of more than $50,000 so far on my picks. And that’s not all. More is coming!